More and more people store up their personal or business information in computer. However, with the trend of increasing number of identify thefts, conventional way of using ID and password to protect access to computer is now not effective. 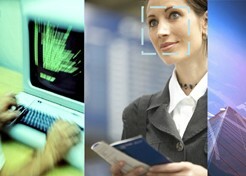 Face-Tek Face Recognition Login Control System provides simple yet effective option. The integration of Face-Tek login control system and PC camera only provides access when live-feed face image of authorized user is detected, effectively preventing unauthorized access. In addition to its user-friendliness, Face-Tek login control system is a non-invasive technology that does not require physical contact. At such, it allows you to experience the up-most convenience of cutting edge technology in gaining access to your PC, laptops or any other devices that needs computerized login control. This model can also be used to lock important files. Other applications include anti-spying of computer monitors and unlocking of screen savers.